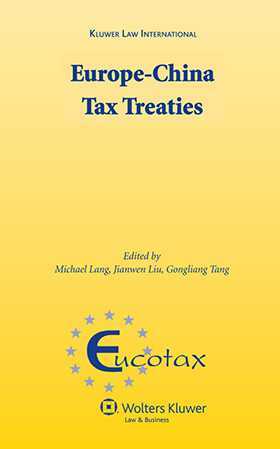 The book is the result of a joint research project on the tax treaties concluded between the People’s Republic of China and European countries. Each chapter carefully analyses the extent to which Chinese tax treaties follow the OECD Model Tax Convention on Income and Capital and the UN Income and Capital Model Convention. The focus is on the different policy decisions underlying the various provisions. Additionally, the contributions analyse the extent to which Chinese tax treaty policy differs with respect to EU and non-EU Member States. They also highlight relevant policy changes over time. The fact that each contribution is the product of the collaboration between European and Chinese researchers and includes the results of the International Conference on Europe - China Tax Treaties Research, held in March 2009 in Beijing, serves to enrich its analysis. Preface. List of Contributors. List of Abbreviations. Chapter 1. Treaty Entitlement (Articles 1, 4, and OECD Model) Chapter 2. Business profits (Articles 5, 6, 7, 8, 9, and 14 OECD Model) Chapter 3. Passive Income (Articles 10, 11, and 12 OECD Model) Chapter 4. Capital Gains (Article 13 OECD Model) Chapter 5. Employment Income (Articles 15, 16, 18, 19, and 20 OECD Model) Chapter 6. Artistes and Sportsmen (Article 17 OECD Model) Chapter 7. Methods to Avoid Double Taxation (Article 23 OECD Model) Chapter 8. Non-Discrimination (Article 24 OECD Model) Chapter 9. Mutual Agreement, Exchange of Information and Mutual Assistance in the Collection of Taxes (Articles 25, 26, and 27 OECD Model). Index.